“Archaeologists are planning to excavate ancient ruins in the Irrawaddy Division that could be as much as 2,000 years old.” This information reached the public on June 17, 2014. The article was accompanied by a video file that shows brick ruins in Ingapu Township in Central Myanmar (Burma) that could be identified as the remnants of an ancient city-state that hails from the Pyu era. The Tibeto-Burman speaking Pyu people migrated in approx. the 8th Cent. 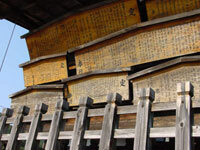 from modern-day Yunnan in China into Burma and are the county’s earliest recorded inhabitants. 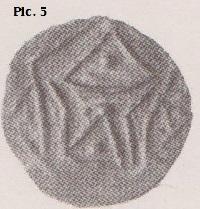 published an online picture of one of the coins and says that its symbolism should be associated “with Indian deities and the more ancient Indian Creation myth”. The religions of India are many and diverse. No doubt there are several Vedic and non-Vedic Creation myths. Which myth is represented here, says the British Museum, is indicated by the “symbol of shrivatsa, representing Shri, the goddess of wealth and good fortune. Inside this symbol is a mountain, representing Shiva, the god of contrasting forces (good and evil; fertility and asceticism). The mountain also represents the earth, rising out of the wavy lines of the ocean below. Above them, the moon (a circle) and sun (a star shape) signify the heavens. On the left is a thunderbolt, emblem of Indra, god of the heavens, and on the right, the conch shell associated with Vishnu, god of creation and preserver of the cosmic system.” In this description the Museum follows J. Cribb, B. Cook and I. Carradice in “The coin atlas” (1990) and J. Williams in “Money: a history” (1997). 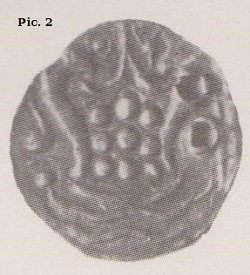 Similar though not identical coins from Srikshetra illustrate Aung Thaw’s words on the Pyu — see picture 5. Naturally coins travel, that’s what coins are for. So at a first glance we may come to the conclusion that the Srikshetra culture indeed was an Indian culture through and through. And as the recognition of Buddhism as a thought system independent of Hinduism came very late, at least in the United Kingdom, the Srikshetra culture is generally described as Indian in the Hinduistic sense of the word. Considering the archaeological findings in north-east Malaysia, the Bujang Valley, where Saivism superseded a Buddhist cultural stratum a similar development may have taken place in the land of the Pyu in Burma. At least in Beikthano, a land of the Pyu, the brick remains of buildings and stupas point in the direction of Buddhism, but the burial urns and skeletal remains (as shown by Aung Thaw) might indicate a Hindu presence in which culture most dead are cremated, and only some — the ascetics (sadhu) and the non-castes — are left behind in burial grounds. There must have been many of these burial grounds in India as the early Buddhist monks Rules (vínaya) make mention of these grounds and stipulates the deportment to be followed on these burial sites, not least with regard to health risks. The question remains whether coin makers in especially Arakan (Rakhine) (Aung Thaw p.14) were of Indian descent. It almost stands to reason since we meet the same ethnicities at both sides of the present border between Burmese Arakan (Rakhine) and Indian Bengal. 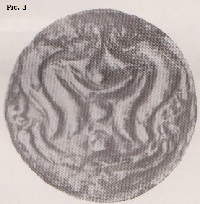 Some of the rare finds among the Arakanese coins depict a conch which today is mainly associated with the Tibetan religion. The conch however has been adopted by the Tibetans from the Indian religions and iconography. We find an early mention of this conch (shankha) in the Atharva Veda (3.5). 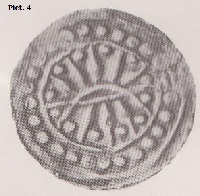 Picture 4 shows an uninscribed Pyu coin with 24 knobs along the rim, and 2 x 6 knobs in the centre, divided by a straight line and futher dived by a bent line in 1 x 6 knobs in the upper part, 4 knobs assembled together in the lower part, and 2 x 1 knob on each side between the straight and bent line. Could these knobs represent diamonds (Skr. vajra; P. vajira)? Could this be a manifestation of the symbolism of Buddhism — 24 spokes in the Dharma Wheel (= 2 x 12), the sixfold sense base (seeing, hearing, etc upto and included mind as a sense base), and the 4 Noble Truth? But what is the meaning of these two lines? Do we see a hill or a thope overlooking the plains with the sun and the moon or a protective entity on either side? Or do we see a representation of the (or a) twofold Truth in these knobs, e.g. day-to-day relative truth (samvrti) and the ultimate truth (paramartha) of nirvana? Pure speculation, I admit. In November/December 2010 the Smithsonian Institute in Washington published a few paintings of the Kiso pass and Kiso valley in Japan, by hand of the painter Hiroshige. The Kiso valley once used to be a section of the old Nakasendo Highway, one of Japan’s historic transport arteries joining Kyoto with Edo, present-day Tokyo. In the year 1688 the poet Basho, then 49 years old, travelled the old Kiso road and penciled down a few haiku, or haikai, in commemoration of this road. These poems are totally unsuitable for this time of year since they speak of chestnuts and autumn. One of Basho’s haiku still is to be found chiselled in stone among the remaining section of this Kiso road once to be travelled in 69 stations. Even when we don’t undertake long walks we can still enjoy the imagery behind these words: white, green. In short, unspoiled nature.